In the end it wasn’t Jeremy Clarkson’s racist, homophobic or sexist comments, but a “fracas” with a colleague that became the final straw for the BBC, long urged to punish its highest-paid star. A tight-lipped corporation said on Tuesday it had suspended the controversial Top Gear presenter pending an investigation into his “fracas with a BBC producer” and, for the first time, it pulled the show from its schedule for the next two Sundays. Perhaps ominously for Clarkson, the statement said “no one else has been suspended”. Amid allegations that the incident involved Clarkson throwing a punch at a male producer, there was some doubt over when the last three episodes of the current series would be broadcast. The Radio Times reported that the penultimate episode of the series, due to air on 22 March, had been replaced by a documentary about the Caribbean. According to the Daily Mirror the producer involved in the alleged bust-up, said to have taken place after filming in Newcastle, was named Oisin Tymon, aged 36. Meanwhile an online petition calling for the 54-year-old’s reinstatement soared past 130,000 signatures. The presenter then “snapped”, the source added. After learning about the “fracas”, senior BBC bosses – understood to include the director general, Tony Hall, and head of television, Danny Cohen – made the decision to suspend the presenter. The police are not thought to be involved. Although there had been little response to the incident from Clarkson, whose manager and personal assistant refused to return calls on Tuesday evening, the presenter did reply on Twitter to his on-screen partners, Richard Hammond and James May. The presenter was given a final warning by Cohen in May last year, after the 54-year-old appeared to use the N-word while reciting the nursery rhyme Eenie, Meenie, Minie, Moe during the filming of the BBC2 motoring programme. Later, saying how much he hated the word, Clarkson wrote in the Sun newspaper: “I’ve been told by the BBC that if I make one more offensive remark, anywhere, at any time, I will be sacked”. He even filmed himself apologising. Clarkson, who earned £600,000 last year, has hardly been quiet in the intervening 10 months – the Top Gear team were chased out of Argentina last October over a number plate that locals found offensive. 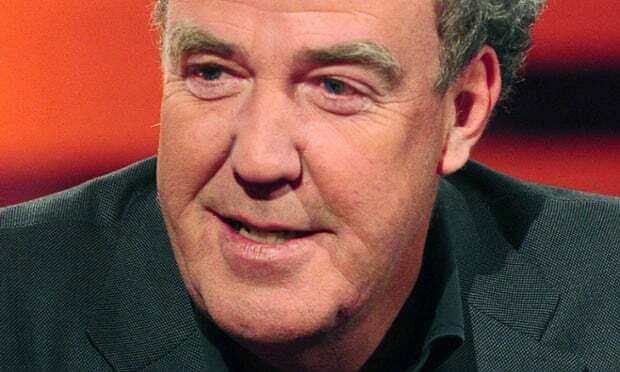 For many inside and outside the BBC, it seemed to be Clarkson’s success that saved him. Each episode in the two-part Christmas special filmed in Argentina attracted more than 7 million viewers last year, with a further 3 million for each episode on iPlayer. It is BBC2’s most popular show, watched by more than 5 million viewers. Along with co-presenters James May and Richard Hammond, Clarkson is credited with turning Top Gear into the most-watched TV show on BBC2, with it being broadcast to more than 100 other countries. Pulling the show is likely to have huge consequences for the BBC, given that it earns more than £150m in revenue for its commercial arm, BBC Worldwide. The show’s executive producer, Andy Wilman, described 2014 as “an annus horribilis” for the programme, and there have been signs of mounting tension throughout the year. After Hall stepped in to save Clarkson last May, Cohen, when asked about the presenter, told an audience of media executives in Edinburgh that “no one is bigger than the BBC”. Yet Clarkson, who has made an estimated £30m from the show, had built a reputation as the antithesis of the corporation man, taking apparent pride in his straight-talking ways. He may have denied using the N-word but he also called an Asian man a “slope” and has called the Romanians “gypsies” and the Scots “tramps”. He branded people who kill themselves on train tracks as “selfish”, made homophobic comments about George Michael among others, and said “Mexico doesn’t have an Olympic team … because anyone who can run, jump or swim is already across the border”. On screen, in print and in person, he delighted in being anti-PC, once telling a Guardian female executive that her sandals were “lesbian shoes”. Yet the man largely credited with the success of Top Gear is also hugely popular, with 4.5 million Twitter followers. Two hours after the news of his suspension was announced a petition launched by Guido Fawkes to #bringbackClarkson had garnered 3,000 signatures. Apart from the BBC’s two-paragraph statement on the matter, there was a resounding silence from the corporation and Clarkson, aside from his tweets. Clarkson became a presenter on the show in 1988 when the old format was watched by a fraction of its current audience. Born in Doncaster to a father who was a travelling salesman plying Paddington Bear toys, Clarkson was educated at Repton school, from which he claims to have been expelled. He trained as a journalist with the Rotherham Advertiser.